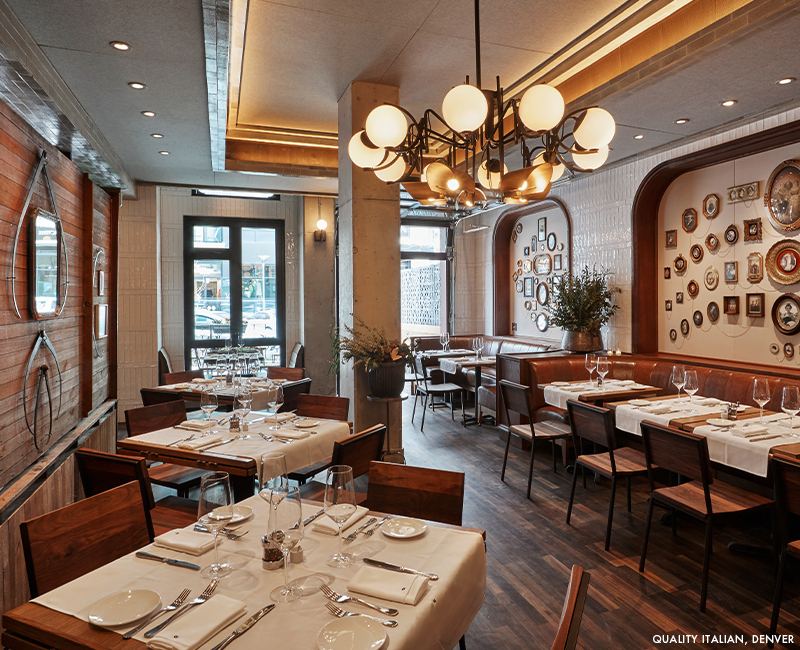 New York has an endless supply of new restaurants. When I think about my favorites, no matter where they are, the best combine thoughtfully prepared food with great décor and attentive service. Perfect for a working lunch or a leisurely dinner with friends, I am looking forward to trying these new openings this fall. 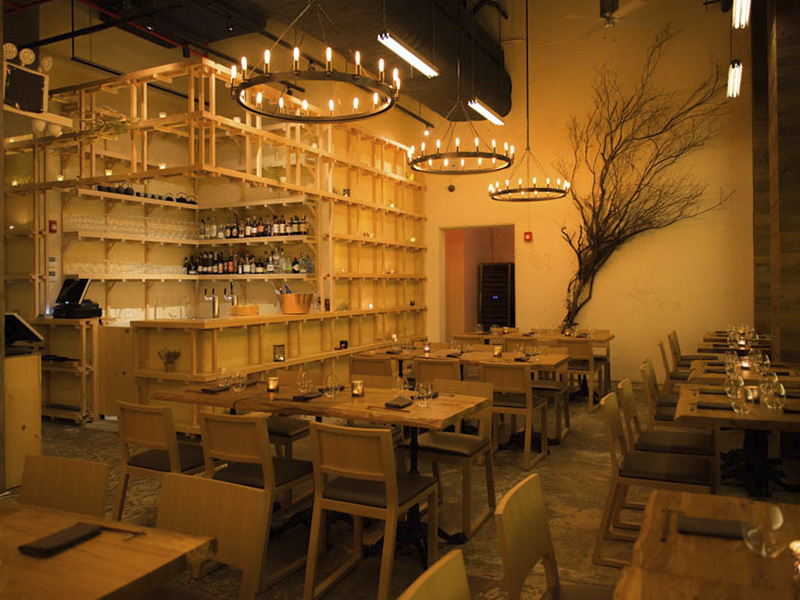 Mifune, newly opened in Midtown Manhattan, is steeped in Michelin-star provenance. Hiroki Yoshitake of the now shuttered Michelin-starred restaurant Sola in Paris created the menu, a fusion of Japanese-European cuisine. Chef Yuu Shimano, formerly of Guy Savoy, creates dishes such as sliced tuna with peach and prosciutto in a beet vinaigrette and roasted wagyu with wasabi soy sauce. Like a shop-within-a-shop, there is also Sushi Amane tucked within the restaurant. Sit at the eight-seat omakase bar or order sushi a la carte from chef Shion Uino who was previously at three Michelin-starred Sushi Saito in Tokyo. 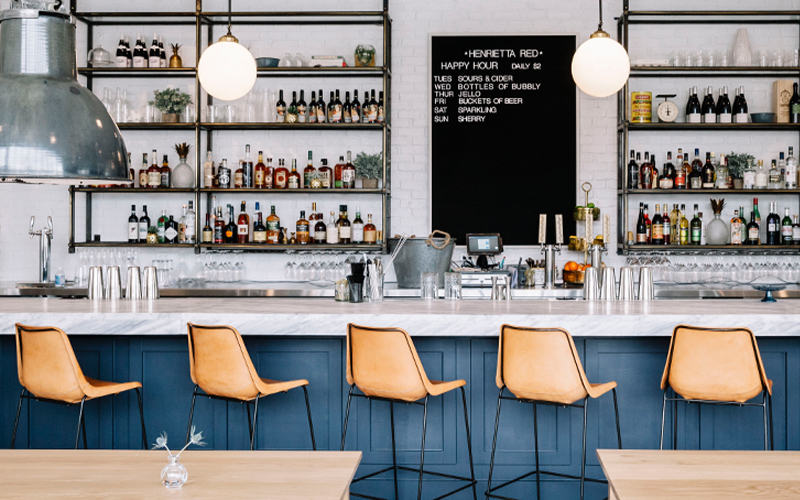 After stints at New York establishments like Per Se and Blue Hill at Stone Barns, chef Julia Sullivan returned to her southern roots with the opening of Henrietta Red in Nashville. The sun-drenched eatery offers a menu heavy on vegetables and seafood, including a raw bar, plus a variety of wines curated by sommelier Allie Poindexter. Popular dishes include the wood roasted oysters and grilled cauliflower steak. I love that they offer potato chips with sour cream and onion topped with Paddlefish caviar. The first restaurant in California designed by acclaimed duo Roman & Williams. The retro space takes inspiration from the vintage, 12-story-high blade sign that sits outside its entrance at the Freehand Hotel in Los Angeles. The menu pays homage to the area’s multi-culturalism with a host of Israeli and Middle Eastern-influenced dishes including a melon fattoush salad and lamb kebabs with kale and feta. 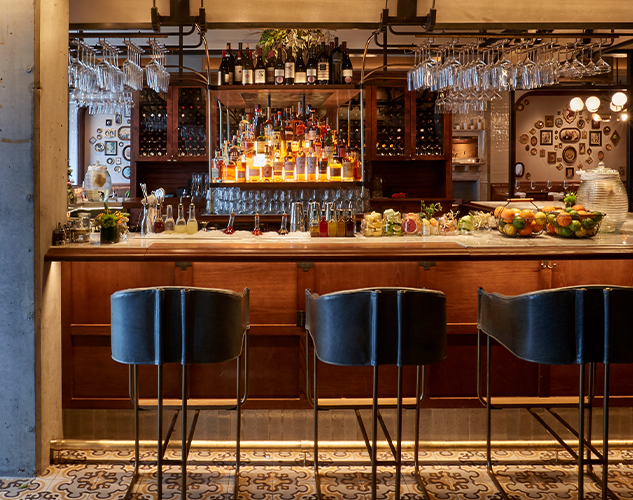 A modern twist on the classic Italian-American steakhouse, restaurateur Michael Stillman brings old New York style to Colorado with this Denver outpost of his popular Midtown Manhattan restaurant. Dishes include steaks sourced locally from the Double R Ranch and family style dishes such as baked lasagna plus a house-made ricotta for the table, topped with Colorado Honey and pine nuts. 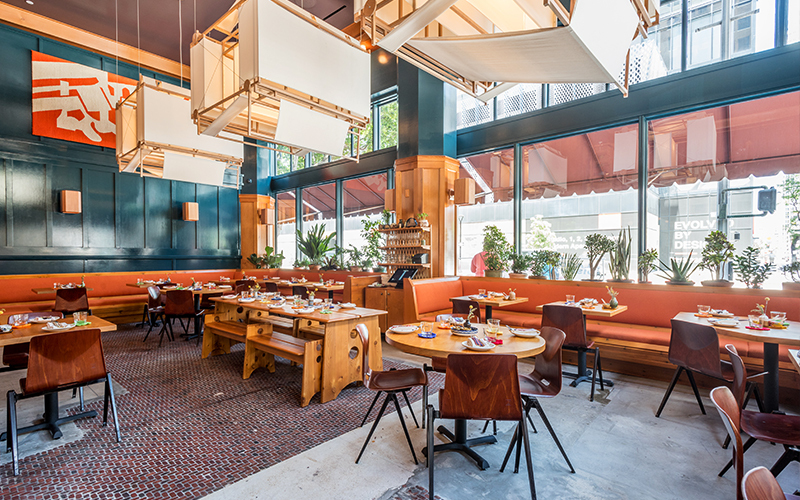 Top it off with industrial interiors designed by AvroKO, two-time recipients of the James Beard award for restaurant design, and you know it is going to be good.